The Daily Randi: Remaining Neutral. Today we got A Response Card for The Wedding from One Of Totally Awesome Fiancé’s Relatives back East. An Older Aunt, he isn’t in too much contact with her since his parents passed away. But, he wanted to make sure she was still invited to The Wedding. Like a lot of our Back East Relations, she is unable to come. And like lots of the people who are unable to come, she wrote A Nice Note to us on The Response Card. Totally Awesome Fiancé was Confused. And Troubled. “Why is this all in Quotes?” he wondered. I examined The Note myself. All the language was Gender Neutral. I just shrugged my shoulders. Ah, well. I have been getting the “I was Expecting You To Be A Boy” thing since The First Day Of School. In fact, every First Day Of School I got it. By High School, the teachers knew me. But, Gender Neutral Names were Uncommon. I come from The Land of Jennifer. I bet Half Of My Future Relatives Think I Am A Boy. Hopefully as Surprised as when she first thought Totally Awesome Fiancé was Marrying What Seemed Like A Boy in the first place. Seriously, What The Fig is That about? Not That There Is Anything Wrong With It, of course. Oh, that is so funny and sweet. ha ha ha funny stuff. I come from the land of Jennifer. I am the Queen. I think the word you're looking for is "kvelling" -- being pleased, excited. Not "kvetching" which is complaining. Sorry to be "kibbitzing" -- tossing in my two shekels. "...glad you are able to do this." Tee hee. And Elder Auntie wrote a note to say she was down with that. 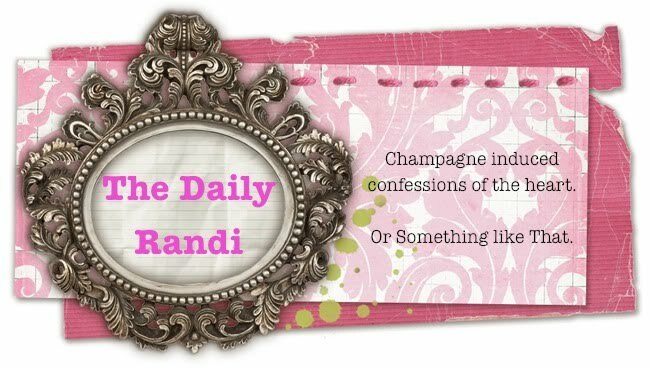 The Daily Randi, you have now a Responsibility to live an Alternative Lifestyle.